3 bed, 3 bath holiday villa to rent in Gran Alacant, Alicante with full air-conditioning, private pool and WiFi! Comfortable 3 bedroom, 3 bathroom fully air-conditioned villa with private pool and free Wifi! The garden contains both orange and lemon trees and flowering shrubs. For your safety there are handrails on the stairs and off road parking is available in the grounds of the villa, and for winter lets, the property benefits from gas central heating. In addition the villa contains many items for young travellers such as a Highback car seat (5 - 18kg), Travel Cot (bedding not supplied), Stairgate, Potty, Baby inflatable ring, Car booster seat (15 - 36kg), 1 float jacket (age 4-5) plus a Stroller (up to 5 years)! Outside, there is a shady terrace, complete with a table and 4 chairs. Lit at night, this is perfect for a relaxing drink in the evening! In the garden, the large 8 x 4m pool is completely gated – therefore very safe for families with small children. The pool also has Roman steps and is lit at night, and is perfect for swimmers as the shallow end is 4ft 6” (1.4m) deep! For perfecting that Mediterranean tan, there are 6 sun loungers (one for each guest), 2 large parasols and an outdoor shower to cool off with! Moving into the villa itself, the sunny air-conditioned lounge contains a large corner unit sofa, coffee table, standard lamp, pictures and a mirror. For your entertainment there is a 32” flat screen TV (with some UK terrestrial and Satellite channels) plus a DVD player, as well as DVD’s and paperback books for your enjoyment during your stay, plus a safe for your valuables and free WiFi throughout the villa. The air-conditioned dining area, contains a pine dining table and 4 chairs, plus matching pine wall unit and pictures. In the garden, for your enjoyment, is a large stone table and benches, plus a BBQ – perfect for dining al fresco! The air-conditioned master bedroom is also on the ground floor and is furnished with a double bed, bedside cabinets, lamps and pictures. In addition there is a dressing area which leads to the en suite facilities, which has a shelf and large mirror, and both single and double built in wardrobes containing a chest of 4 drawers. In addition, the owners have thoughtfully provided a hairdryer, hair straighteners and curling tongs! The en suite for the master bedroom contains a bath with shower over, bidet, WC, basin and mirror in a vanity unit with lights overhead. The air-conditioned third bedroom,, is also on this floor and contains twin beds, bedside cabinet, lamp, pictures and mirror. Also there is both a double and a single built in wardrobe containing hanging shelves. The handy downstairs shower room/WC features a walk-in shower, WC, plus a basin with a mirrored cabinet and lights above. The pool and garden area is also lit at night with lamps on the walls. Moving upstairs, via the marble staircase you come a galleried landing and to the fully air-conditioned second bedroom. This sunny room contains a king size bed, bedside cabinets, lamps and pictures, plus 2 double built in wardrobes with hanging shelves and a 5 drawer chest. In addition there are patio doors to the roof terrace. 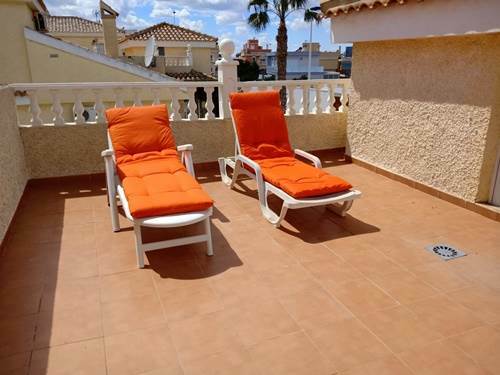 From this second bedroom, the patio doors lead out onto the terrific roof terrace with views of Alicante and the mountains and which is furnished with 2 further sun loungers. In addition, this lovely roof terrace features a table and 4 chairs - a lovely place to sit at anytime of day or night! 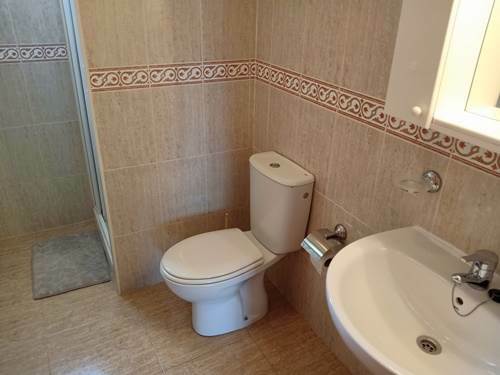 The en suite facilities for the second bedroom comprise of a bath with shower over, bidet, WC and basin with mirrored cabinet with lights overhead. 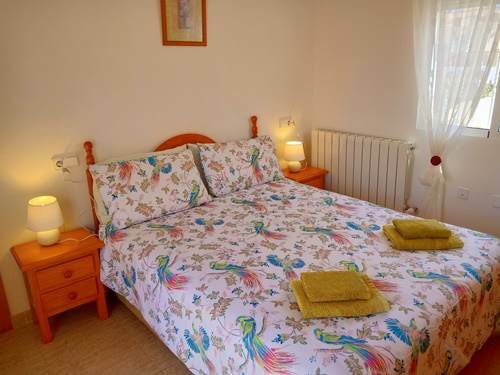 This lovely villa is just a short walk from numerous bars, restaurants and supermarkets and, as if this wasn’t enough, the fantastic sand duned Carabassi beach is just a short drive away! Guests can arrive and depart on ANY day of the week - you are NOT restricted to Saturday-Saturday bookings! Access is from 3pm onwards on your day of arrival. Departure is by 10am on your final day. Nice villa in a great location. Had a great time. Would come back. What a fantastic villa! What a fantastic place! Villa was very clean and tidy and had all we needed and more. 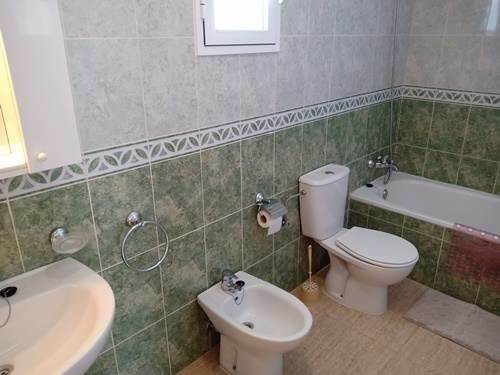 Lovely pool, nice bathrooms. Very well situated. 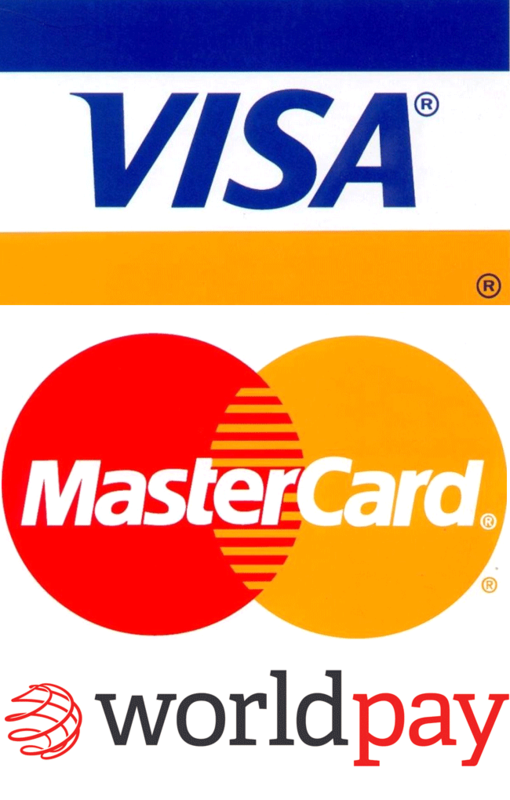 We recommend the land train, Santa Pola, the Carabassi beach, both local squares and using the shopping trolley. Thank you ever so much. Will be recommending. The villa and grounds were all ideal and exactly as described. Very quick and easy to find from the airport (we used a taxi), and the keyholder met us promptly and gave us a full tour of the villa and made sure we understood everything and were comfortable. There is plenty of room and furniture for a group of 6 people, and everything was clean and well looked after. The kitchen is perfectly well equipped and had everything we needed. The shopping trolley (we named him Troy!) is very useful for the hot walk to the shops each day. The air-con is easy to use and efficient so did not need to be on for long periods of time. I cannot recommend this highly enough, The Villa, pool and amenities were 1st class, Melinda our property manager was also terrific. Would we stay here again??? 100%. Would we use Alicante Holiday Villas again?? Absolutely. Booking the villa was fantastic - quick and efficient with any queries. The villa itself was fabulous - all five of us really loved the villa and enjoyed our stay here. Would definitely book through Alicante Holiday Villas in the future. Great accommodation, pool was excellent and everything needed was in the villa. It exceeded our expectations! Thank you. We loved our stay and will definitely book again. The villa was beautiful. We had an amazing time. The villa, pool and location were all fantastic. The accommodation was spotless and as described on the website. 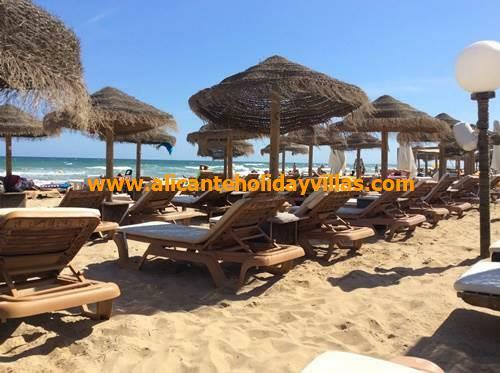 We had an amazing holiday in Gran Alacant, I know the area very well as my parents used to have a villa in Monte y Mar, The beach is lovely at Carabassi, Supermarkets are in abundance in the area (walking distance), Mercadona, Lidl, Consum, Dialprix. We enjoyed our evenings in a bar called The Pub, this is a sports bar with 10 TV screens showing all live football and has entertainment regularly on a Sunday afternoon. Drink prices are very reasonable. We are already looking to book another villa for next year, just waiting for the flight availability. The villa was just as described on the website. It was immaculate, well furnished and the pool was amazing! Melinda, the key holder, was very welcoming & showed us around the property. I would highly recommend the villa to future guests. Gran Alacant is a lovely area & this urbanisation was within a ten minute walk to the commercial centre with restaurants, shops & supermarkets so no need to hire a car. Perfect for families of all ages because it is so well equipped. We stayed here in June 2016. 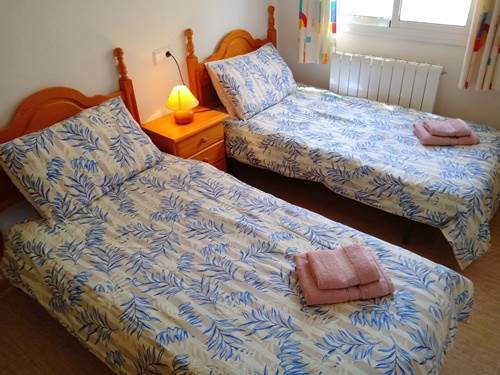 Having stayed in Gran Alacant on a number of occasions previously, this is the best property we have stayed in. Great size overall, fantastic facilities, very clean and the property manager was very helpful. We have an 18 month old and a 4 year old so the pool being gated was an added bonus and made it very safe. The area around the property was very quiet and only a 10 minute walk to the Gran Alacant Commercial Centre. We found the villa great for our needs and excellent for our 4 year old. Very safe and secure. Nice quiet area and very convenient for everything. Tourist train great for getting about but taxis also very reasonable and easy to find. The villa was great for us. Young family downstairs, the more mature had upstairs. Tracey the property manager was excellent. Good quality clean accommodation in a convenient area. Pool good size and lots of chairs, sunbeds etc for larger parties. 5 minute walk to the Gran Alacant commercial centre with plenty of shops and restaurants. Property manager was exceptional and could not be faulted. 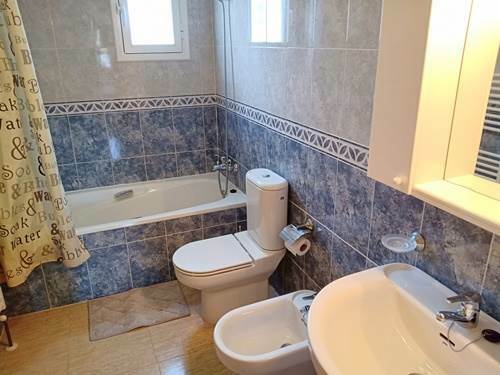 Excellent value for money, nice villa very quiet location but close enough to everything so no need for a car as the airport is only a 20 Euro trip away. We had a very relaxing holiday. Villa was lovely and having our own pool made all the difference. We would recommend this villa to anyone and did not want to come home !